Painting by Tate 1863 – Part of a 3 piece composition dedicated to a “Woman’s Mission.” This painting was to depict a loving wife being her husband’s companion, titled, “Companion of Man.” It was said that the woman in the paintings strongly resembled the artist’s own wife. He honored her so much, and was so grateful for her companionship, that she became his artistic inspiration. You may think I sound dramatic in the title of this post. I wish it weren’t true. I wish that humans really could love each other easily, endure each other’s faults effortlessly, but I’ve found the reality of how we treat others is reflected back in how they end up treating us. Grace or not, Christian or not, I believe God often allows us to reap what we have sown into the hearts of others – our friends, our family members, our children, but especially our husbands. It’s not usually talked about in our culture, especially in regard to how women treat their husbands. But the fact and spiritual principle of reaping and sowing, affects everything we do and everyone around us – whether we want to admit to it or not. Think about this first painting. How the artist was said to have used his own wife as the model and inspiration for his creations, because she fulfilled his deepest needs emotionally, and therefore inspired his love to greater depths than we normally see in average marriages. Our society pretends that women won’t reap what they sow (even people in general to a larger extent). This overwhelming problem is why I believe we’re having so much trouble with people not taking responsibility for their actions. Acting (really manipulating others) through pretending to be victims, has become almost like the modern-day Westerner’s hobby! Here is an excerpt (below) from one of my favorite books on a woman’s role in a godly marriage. It reflects on how a wife can harm her husband’s ability to love her so terribly, that it almost becomes impossible for him to feel the same feelings toward her as he once did. Keep in mind this doesn’t usually happen within the first 10 years or so of marriage. I think it happens after a couple or more decades… it’s a slow husband-love killer. And I think we’d be wise to have a healthy fear of this. If we love our husbands, we must take into effect that this could be possible if we continue in sin against him, always believing that tomorrow is another chance, and yet never taking the measures to truly change for good. 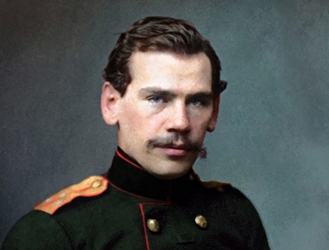 Here is the story of Leo Tolstoy and his wife…. When a wife constantly pushes or nettles her husband, it is like the bite of a poisonous snake and can cause the destruction of a could-be holy marriage. 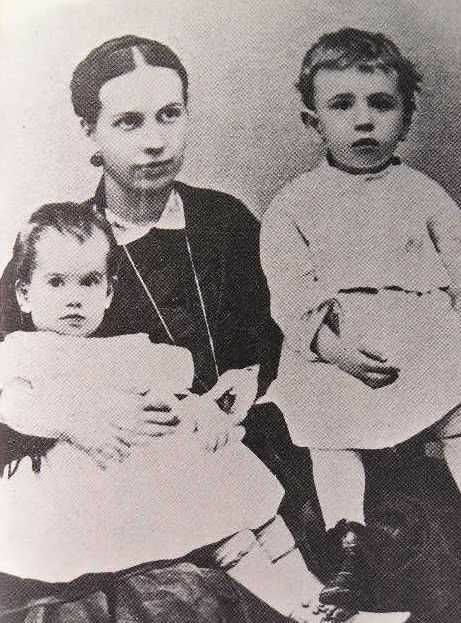 One of the most tragic cases in history is that of the Russian novelist, Count Leo Tolstoi and his wife. In the beginning of their marriage, Tolstoi and his wife were so blissfully happy that, kneeling together they prayed to God to continue the ecstasy that was theirs. 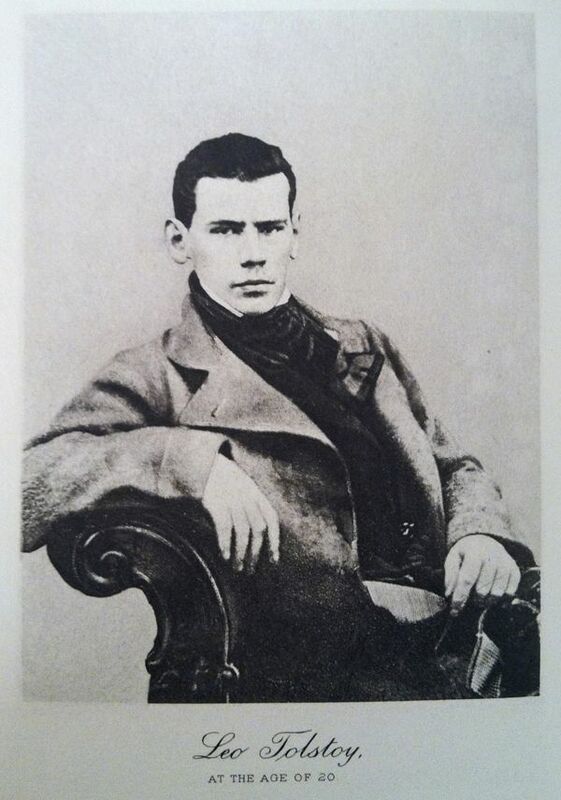 Tolstoi is one of the most famous novelists of all time. Two of his masterpieces, War and Peace and Anna Karenina, are considered literary treasures. He was so admired by his people that they followed him around day and night and took down in shorthand every word he uttered. Although he was a man of wealth and fame, after studying the teachings of Jesus, he gave away his property, worked in the fields chopping wood, and pitching hay, made his own shoes, ate out of a wooden bowl, and tried to love his enemies. He gave away the publishing rights to his books and had the courage of his convictions to live a life he believed in. But his wife never accepted him or his simple philosophy of life. She loved luxury and he despised it. She craved fame and the esteem of society, but these things meant nothing to him. She longed for money and riches, but he thought these things a sin. For years she made every effort to change him and his views. She screamed at him because he insisted on giving away the publishing right to his books. When he opposed her she threw herself into fits of hysteria, threatening to kill herself or jump down the well. After 48 years, this man who had adored his wife when he married her could hardly bear the sight of her. And one of the most tragic scenes as when Countess Tolstoi, heartbroken and old and starving for affection would kneel at her husband’s feet and beg him to read aloud the exquisite love passages that he had written about her in his diary fifty years previously. And as he read of those beautiful happy days that were now gone forever, both of them wept. His dying request was that she should not be permitted to come into his presence. Wow! I mean wow, right?! His dying request was that she should not be allowed to be in his presence?! They had such a perfect, blissfully happy prospect of marriage in their early days, and yet her decision to buck his convictions (which I think are beautiful and so touching he wanted to follow Jesus in that manner – how noble! ), and had utterly no reverence for his deepest longings and convictions! I think after decades of mistreatment, it makes sense logically that a wife will eventually reap what she’s sowing into the heart of her husband (or her children, friends, even enemies… it goes on and on with human behavior). At the end of her life, she tried to make herself out to be a victim of his gruff behavior he had toward her in his old age. But only people who were aware of how she secretly behaved toward him, truly understood she had caused his gruff behavior and grouchiness. When I was in a marriage group some time ago, I would see women like Tolstoi’s wife come in fairly often – already usually a couple of decades into their marriage – and be desperately pleading with us on how they can turn everything around, all the while admitting that they’ve been treating their husbands horribly for the past few decades. What motivated them to come to someone who could help them have a happier marriage? Usually he had finally had enough, or reached some kind of “breaking point,” and he wanted out. Or he had found another woman who treated him kind again – who admired him and loved him more than his wife seemed capable of. It was usually apparent that it was already too late, but it was very interesting to watch these women go through psychological changes of first being extremely repentant and humbling themselves, eager to learn and read and practice trying to honor and respect him. I often had such great hopes for them that they were truly changing in their hearts. But when it didn’t work (and often times the husband wouldn’t believe their change was real or genuine), they would turn angry, they would get bitter, and then become very resentful even toward us as they believed our advice for happy marriages wasn’t true. They would become indignant that their husbands’ didn’t accept their changes. I would see these women start suddenly claiming that their husbands had really “emotionally abused them,” all this time, and that their (the wife’s) sin was in submitting to them too much. Then they’d often blame sites like mine in creating women who submitted too much! It was… like I said… very interesting to watch psychologically. I talked about that here in this post a little. Again, though, like in the Tolstoi example, this sort of behavior is actually tantamount to abusive in my opinion, toward the husband. It falls under the “Borderline” or “Cluster B” disorders, which are extremely hard to fix, never-mind how hard it would be to live with someone with those psychological disorders. A wife like this will usually never be able to admit she was verbally or emotionally abusive for years, until it’s almost too late, but it’s interesting how quick they are to act like they were the victim of emotional abuse, when just a few months before, they were admitting (finally) that they treated their husbands so terribly that they couldn’t believe he put up with it for so long! If you’re a young wife reading this, I do think it’s good to have a healthy fear of ruining your marriage or your husband’s ability to love you in this way. I don’t think it’s healthy to have this idea that no matter how bad you mess up, no matter how many fights you start, or the terrible words you say to him, that it’s going to not have a devastating affect on him as a person longterm. Men feel so deeply – especially when it comes to their wives’ opinions and treatment of them. It would be like a husband abusing his wife for decades, and then expecting it not to have a diminishing effect on her ability to love him. Can God redeem marriages like this? I believe He can do anything. But it’s not the norm that these marriages are ever fully repaired, so it’s best if you don’t ever fall into this pattern, as it all could have been so easily avoidable from the beginning. And if anything, please remember Leo Tolstoi’s bitter marriage, and be on guard against women like his wife who suddenly tried to twist the truth in the end, in an effort to destroy her husband’s legacy and reputation.